Mel played club photographer today and supplied some pictures of todays activities. What a day Firstly we had a very good turnout of members to help. The original jetty was removed from the water and the old fixing posts were taken out. 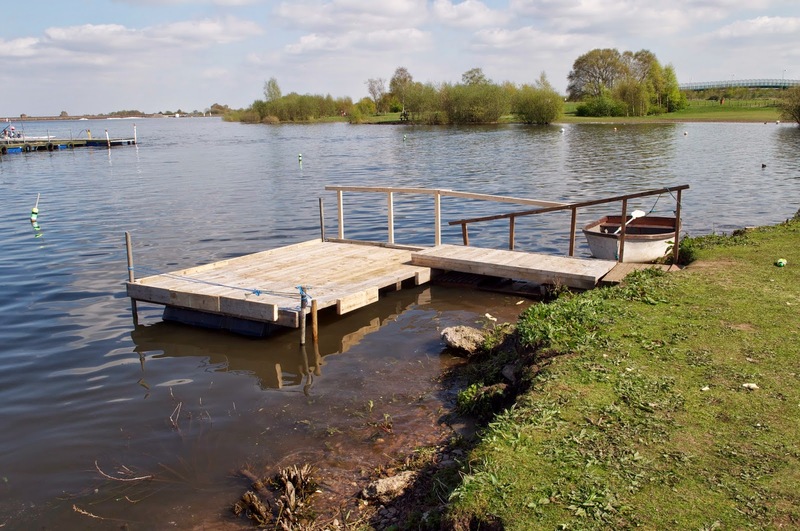 The new jetty was assembled and black flotation blocks fixed courtesy of the ski club. The blocks were trimmed down and the jetty refloated, this time all went well and it is just about perfect. 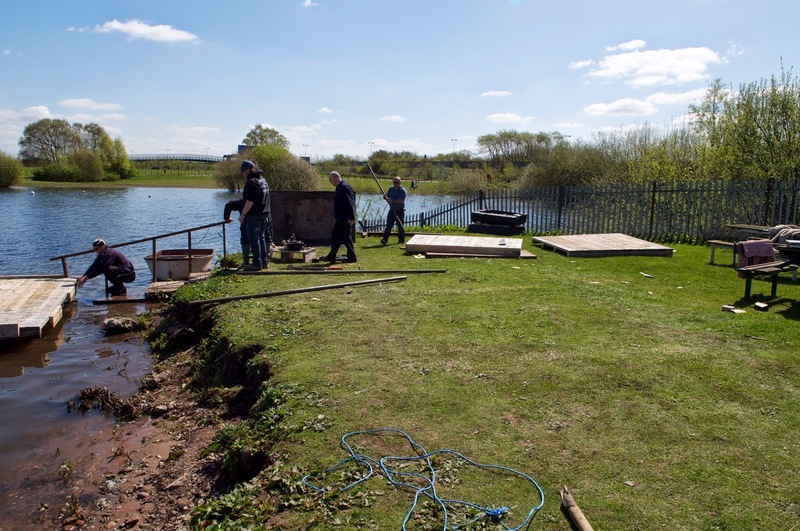 New posts were driven into pool and the jetty secured into place. A new access ramp was then put into place followed by some new hand rails. 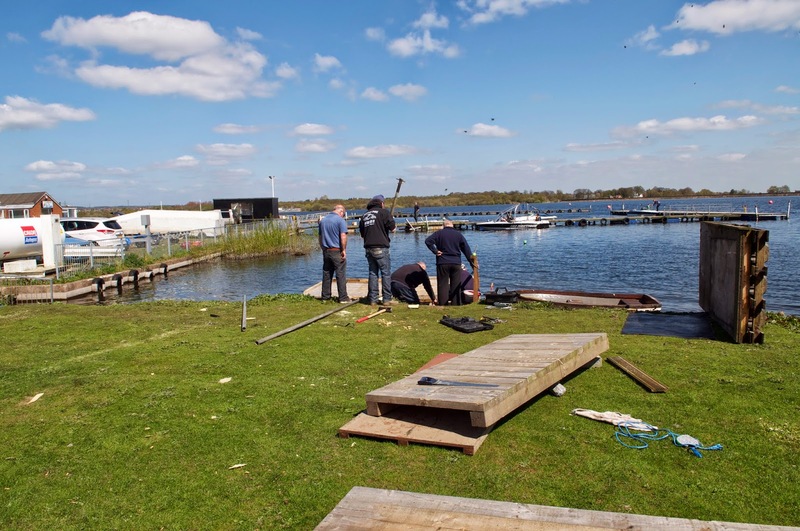 The old dock was then removed to tidy the sailing area up, followed by everyone retiring for a drink and a burger. On the whole a very productive day and a big big thanks to everyone for a fantastic effort, especially Terry for supplying the equipment to build the new jetty, it should now last many years, also to Mel for supplying the wood to make a new hand rail. 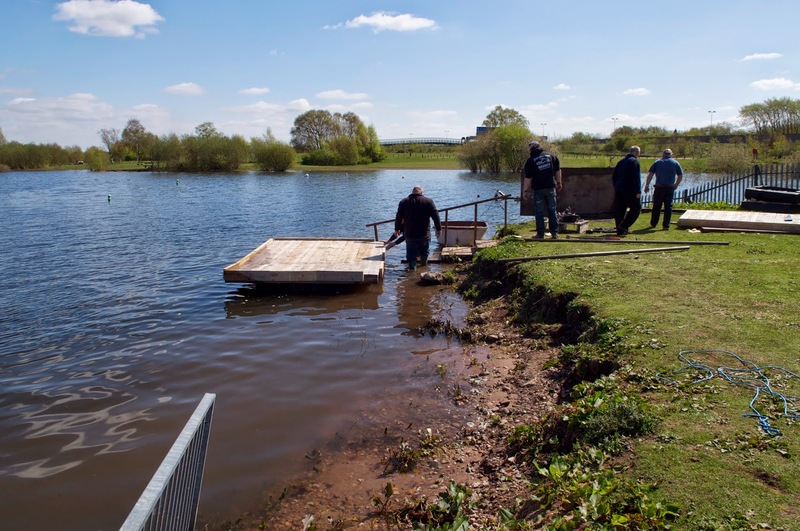 After all the hard work and effort of constructing this, we would like to remind club members that the Jetty is for LAUNCHING and RETRIEVAL ONLY. Kindly do NOT stand on this whilst sailing your craft, you have a far better view from the bank, as this then allows easier and safer access for other club members to launch retrieve their boats whilst you are sailing yours "from the bank".